Saudi regime forces have reportedly razed a Shia mosque in the kingdom's oil-rich Eastern Province as Riyadh presses ahead with its heavy-handed clampdown on members of the religious community. Local sources, requesting anonymity, said Saudi troops leveled Ayn Imam Hussain mosque to the ground in the town of al-Awamiyah, located some 390 kilometers northeast of the capital Riyadh, on Friday. Video footage published on Twitter social media network showed dozens of concrete blocks and pieces of iron scattered around. Since May, Saudi regime forces have imposed a deadly crackdown on Awamiyah – the hometown of late prominent Shia cleric Sheikh Nimr Baqir al-Nimr, whose execution by the Al Saud regime drew firm international condemnation and sparked mass protests across the Middle East. 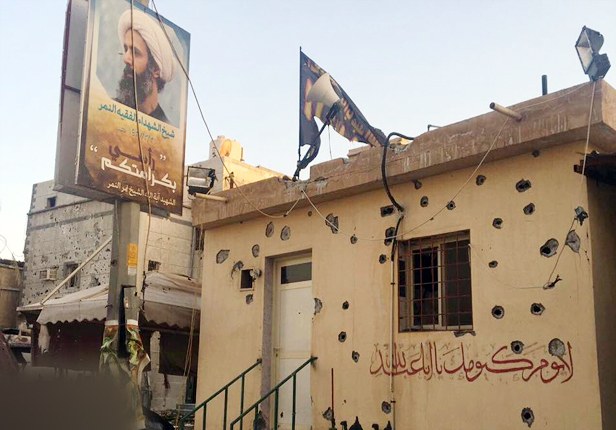 Earlier this month, foreign journalists paid a visit to Awamiyah after they were permitted entry for the first time, and witnessed the substantial level of destruction that Saudi forces had wrought on the town. The residents said Saudi authorities had prevented emergency services from reaching wounded locals since July 26, and failed to provide humanitarian assistance to the trapped citizens of the town. They noted that the only chance for people to leave Awamiyah had been short periods coordinated with local volunteers and pro-democracy activists. Earlier this month, Stephane Dujarric, the spokesman for UN Secretary General Antonio Guterres, said that the world body could not independently verify the reports coming out of Awamiyah, but stressed all Riyadh’s actions should be in line with its commitments to human rights. Last month, Ottawa expressed “deep concerns” over Saudi Arabia’s apparent use of Canadian military equipment in their crackdown against the minority Shia citizens in the restive Eastern Province. Prominent human rights groups have on numerous occasions called on Saudi Arabia’s major arms suppliers, including the US and the UK, to stop selling military equipment to Riyadh.